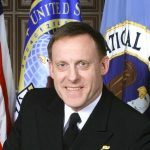 The U.S. government workforce is not prepared to deal with the kind of information warfare that Russia used to influence the 2016 presidential election and has continued to use in the elections of other nations, U.S. Cyber Command and National Security Agency (NSA) Chief Admiral Michael Rogers told members of the Senate Armed Services Committee on Tuesday. “If information is truly going to become a weapon in many ways, how are we going to optimize ourselves to deal with this world?” said Adm. Michael Rogers. Rogers also said that the U.S. should improve the coordination of different law enforcement and intelligence agencies, rather than remaining in their rigid distinctions. “So we’ve built a foundation with a series of very specialized and distinct responsibilities, and yet what I think experience has taught us over the last few years is that our ability to respond in a more integrated and focused way is really the key to success here. And I think that’s the challenge,” said Rogers. Rogers also called for improved coordination between Federal cyber experts and local governments and the private sector. He explained that when the NSA told state-level secretaries of state that Russian hackers were targeting the voter registration databases, many responded that it was not the job of Federal intelligence to interfere in elections. Sen. Kirsten Gillibrand, D-N.Y., said that it was unacceptable that secretaries of state can claim that their election systems are fine without some assurances that they are employing some of the best cyber capabilities to defend their systems. The Department of Homeland Security recently designated election systems as a subsection of critical infrastructure, giving them greater authority to assist with cybersecurity measures. These systems will likely be in danger again in 2018, as FBI Director James Comey said that Russia is likely to use influence campaigns in congressional elections based on their success in 2016. Rogers also called for a more streamlined process for communicating with the private sector, characterizing the reluctance to share information between the two as a cultural issue.